I wanted something for my front porch but I wasn't sure what to do until I saw on hertoolbelt.com free front porch bench plans. Hers turned out so gorgeous, I knew I had to have one! 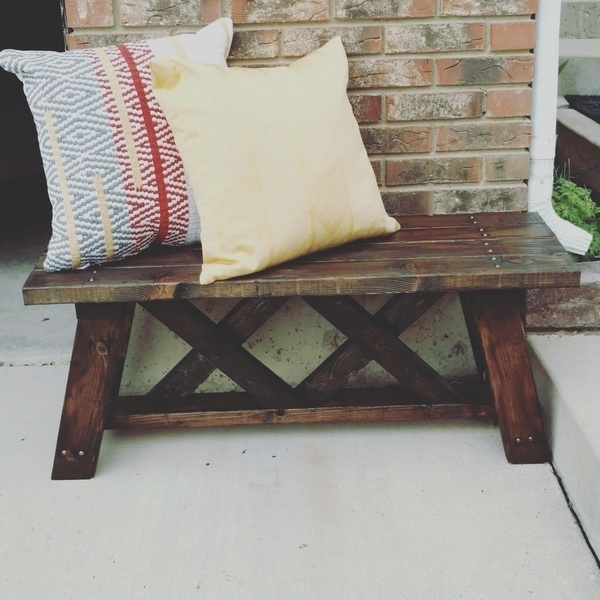 So with 2x4's I was able to follow her plans and create this great piece to my front porch.